Anypony ever had Jack Daniel's? Hey, call Berry Punch because I'm talking about booze! Later today, I'll be going to my local liquor store, Virginia ABC, and I'll be getting some good old-fashioned Jack Daniel's Old No.7. Stuff's been around for 153 years, ever since 1866. Stuff must be doing something right for it to be sticking around for this long. That bottle is just too cute! I have heard good things about this stuff, and I'm hoping it's worth it. Have any of you had Old No.7 before? If so, how was it? Can you tell me if it has that disgusting, bitter alcohol taste that beer and wine have? I'm hoping it doesn't. My first beer was a Blue Moon, BTW. Had it on my 21st B-Day. Can you tell me if it has that disgusting, bitter alcohol taste that beer and wine have? Beer is like smoothie compared to Jack Daniel's. Even though the strong taste is not one of my favorites it's pretty hard not to drink too fast and way too much. The hangover can also be a real nightmare. I guess it's OK if you can drink sophisticated and small quantities. Sounds like something that alcohol might say. I'm desensitized to it's smell by now. I'm hoping I'll get used to the taste. 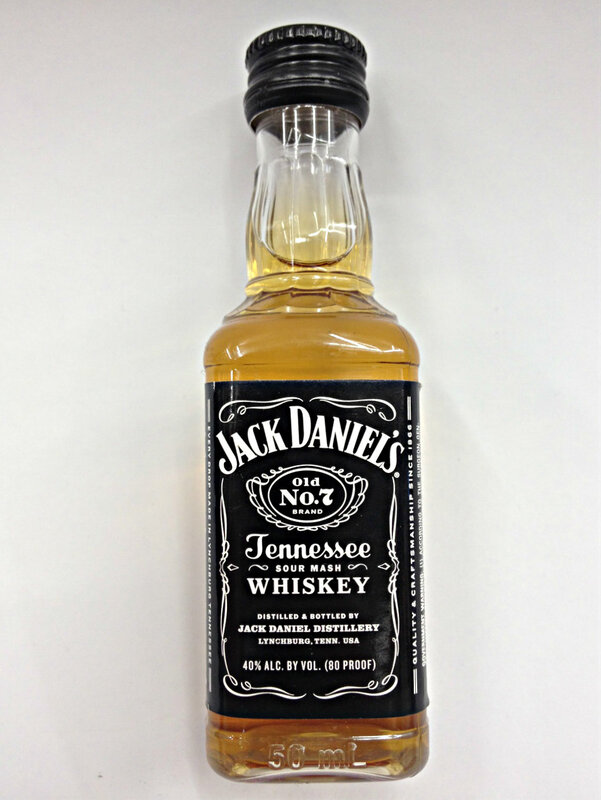 I want to share some of the Tennessee Honey Jack Daniel's with a friend of mine. It's more acceptable to drink if the bottle is cute or small or pink or <insert any positive characteristic here>. It makes you feel more like a victim instead of an alcoholic. Personally I drink mostly beer to keep my drinking problem at a manageable level. Today my excuse to get drunk is friday. Besides I haven't get drunk in the middle of the week at all this week which makes it even more justified. It's more acceptable to drink if the bottle is cute or small or pink or <insert any positive characteristic here>. It makes you feel more like a victim instead of an alcohol. Personally, I drink mostly beer to keep my drinking problem at a manageable level. Today, my excuse to get drunk is Friday. Besides, I haven't gotten drunk in the middle of the week at all this week, which makes it even more justified. How does drinking alcohol from a "cute" or small bottle make you feel more like a victim than "an alcohol"? I'm a little confused, here. Of course I will use any possible excuse to avoid blaming my self for my own actions. Whiskey is not pleasant-tasting. It took me longer to get used to than beer. I doubt I'd have bothered to acquire the taste if my dad wasn't always willing to share some of his ever-present stash when I was a young adult living at my parents' place (free booze beats paying for your own). If you want to get fucked up in a hurry, though, Jack Daniels on the rocks will get it done.